-Select two pans such that one fits into the other and line the larger pan with parchment paper.The second pan is to weigh the mittai. 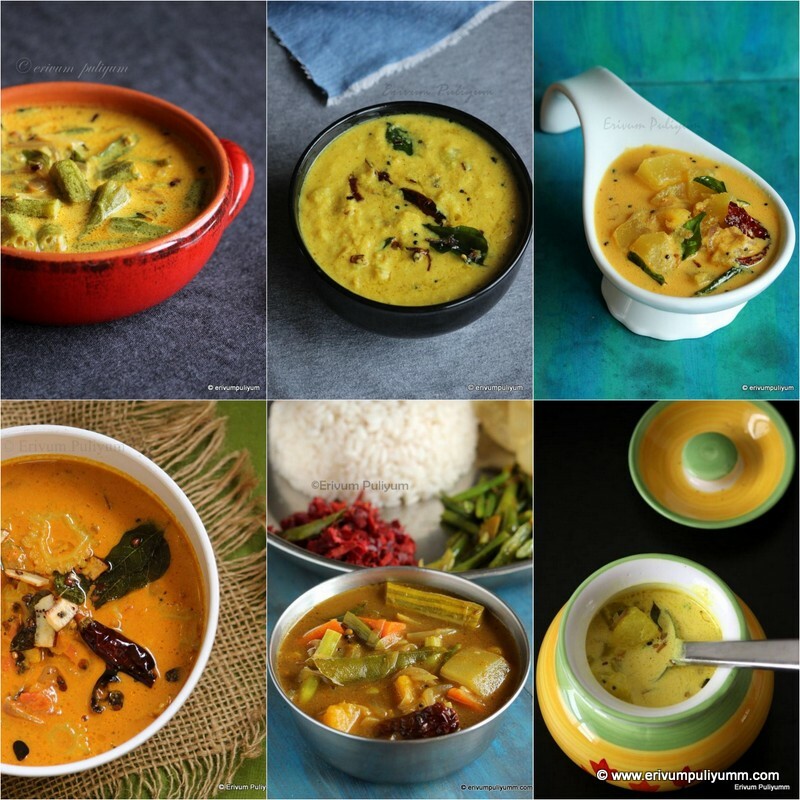 -Apply a light coating of ghee on the under surface of the weighing pan (smaller pan). -Dry roast the peanuts till toasted and browned here and there.Keep stirring continously and it takes about 5-8 minutes on medium heat. -Let it cool completely and crush it in a mortar and pestle. (Crushing helps to bind with the jaggery well & just to separate the two lobes of peanut and crush some of them partially,don't over do it. )Keep aside. -Heat a pan on medium heat and melt the jaggery and salt with half cup of water.Strain it twice to remove impurities. 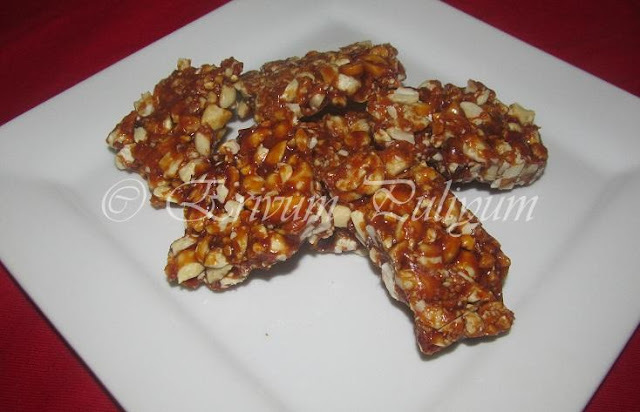 -Quickly toss in the crushed peanuts,remove from flame and give a stir asap and remove it on the parchment paper with 1/2 cm thickness and weigh it down with the smaller pan. -Make it even by rolling with a rolling pin after a minute by placing another parchment paper on top. Make markings on the mittai to cut it along but don't cut through now. -Wait for 10 minutes to cool down and cut along the marked lines.Cool completely before serving . * Don't use roasted and salted peanuts.If you are using peanuts with skin,then dry roast in a non stick pan and wait till the skin lightly browns.Remove from fire and put it in a kitchen towel.Make a bag/potli like and then rub with your palm on it.By then the skin gets easily removed. * Peanuts tend to float in jaggery resulting jaggery in the bottom and peanuts on top.That's y the weighing with smaller pan is important. * The marking of lines before the mittai is cooled down is because it turns very hard on cooling and will not cut out in correct shapes like mine. ** The staging is as follows-The one thread (230 degrees F)consistency is a familiar one with all;in which sugar forms one thread when pressed between thumb and index finger.After the one thread comsistency,keep stirring the jaggery to avoid burning at the bottom and keep flame on medium heat.Then is the second and third stage where there are two and three threads formation respectively when pressed between the fingers.After this is the soft ball stage,when a drop of sugar/jaggery put in cold water becomes a soft pliable ball.Then comes the hard ball stage,dripping a drop of sugar/jaggery in cold water forms a hard ball. (260 degrees F)Keep stirring to get the next final stage or soft crack stage(270 degrees F)-a drop of syrup in cold water becomes pliable non brittle thread when pulled. (At this stage the bubble formed are less)Any temperature below the soft crack stage will give you a chewy mittai and not the hard ones.It takes 45 seconds -1minute to attain the soft crack stage after the hard ball,so keep a watch closely. * Any left overs can be preserved in air tight containers /Ziploc bags. Refreshes my memory of Lonavala chikki :)All time favorite snacks. They taste delicious!!! 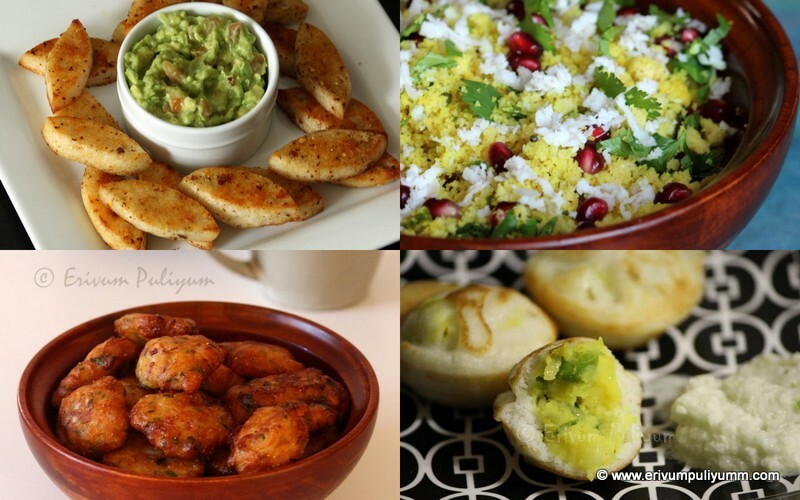 peanut chikkis are my childhood fav snack, too so delicious n perfectly made chikkis!! such a detailed recipe...thanks for your explanations since making jaggery syrup consistency is very imp for this chikkis, so will follow n try it soon! Simply love this and it has come out so good..
Julie my all time favorite, looks superb. 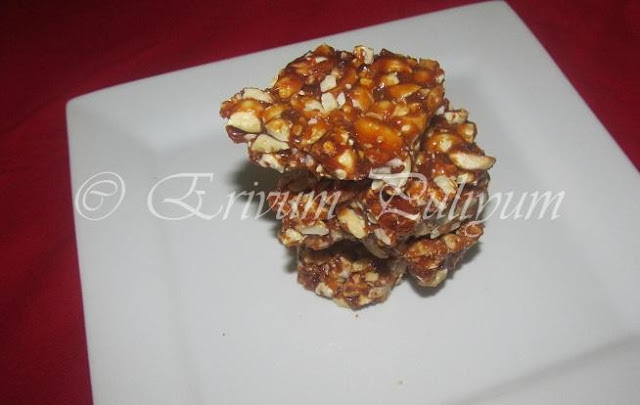 perfectly done chikki...very healthy recipe..
My favorite and addictive chikki. Looks great. 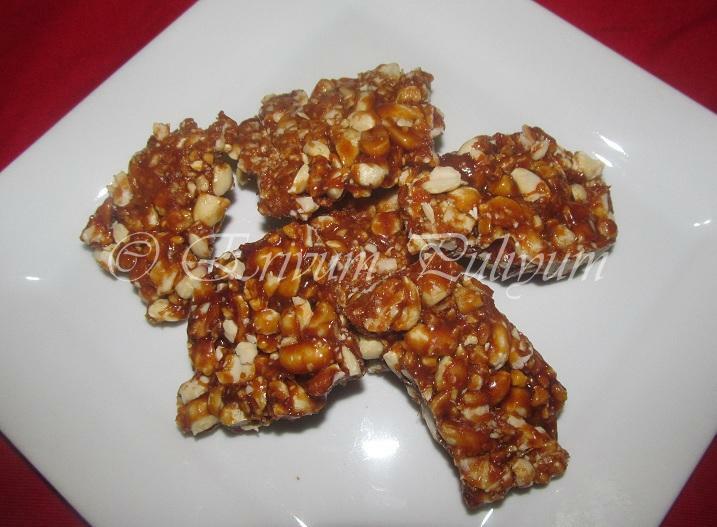 very nice chikki....they (the squares)have come out perfectly! Seriously feel like munching some. 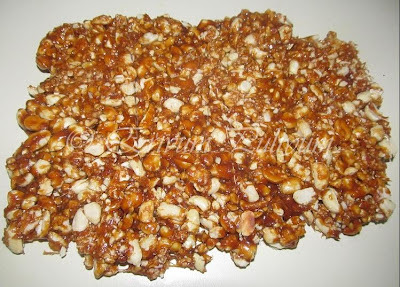 Yummy chikki and a great snack which reminds me of childhood days. Have you gone to Lonavala? You get an amazing variety of chikkis there. 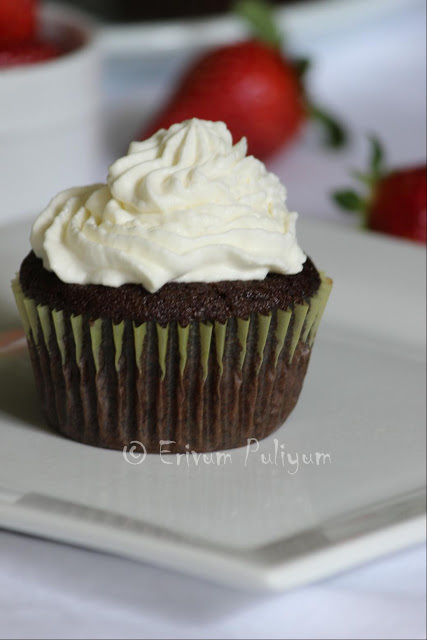 Anyways, I loved this post and I am amazed to see that these are so easy to make! An all time favourite. Love them. very yummy and its my fav too..
Kappalandi Mittai looks sticky, goeey and absolutely lip-smacking good!! We have almost the same sweet in Greece and call it pasteli! I love this one looks delish! My all time favourite sweet! Yum..Yum! !